SALE ON CUSTOMS! X-LARGE CUSTOM $89! On the Rocks Crystals now specializes in large handcrafted, naturally distressed leather grimoires and journals! Each giant, extra-thick grimoire is handcrafted using high quality vegetable-tanned leather and is filled with between 400-700 pages of refillable, blank acid-free paper offering endless possibilities for creating the perfect Book of Shadows, scrapbook, sketchbook or journal. Browse the store below to see what grimoires are currently available or create your own custom grimoire! 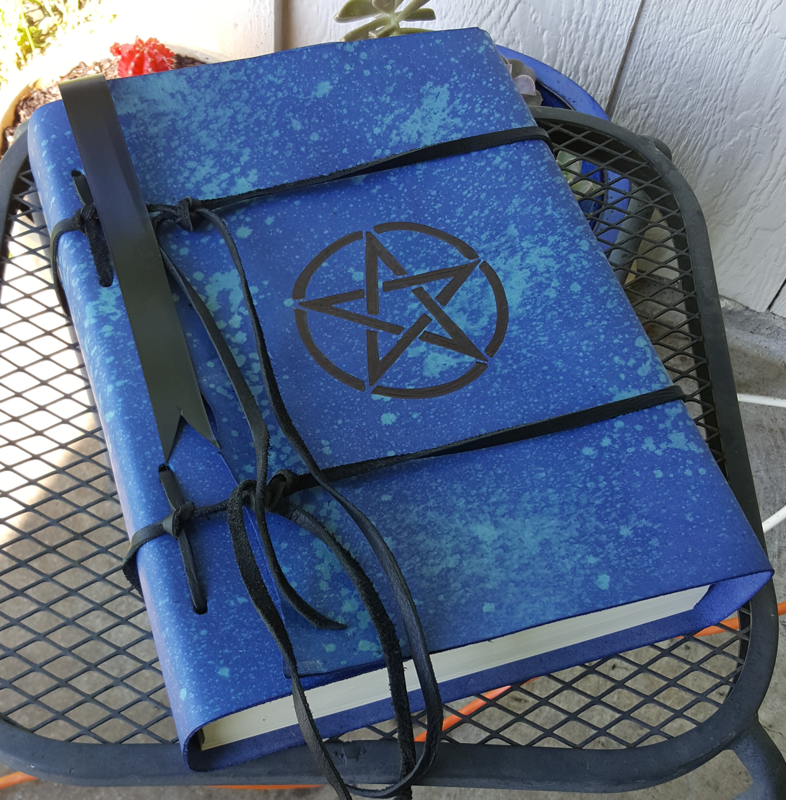 Need a little inspiration in creating your own one of a kind grimoire or journal? Click here! We offer the most affordable, high quality, large leather blank grimoires around! Large journals like this sell for hundreds everywhere else. Our journals and grimoires are refillable and can be made in a wide range of colors with almost any design of your choice. Create your own sigil or sacred symbol and we can brand it onto the cover of your journal. Tea stained pages can be added upon request. Add a concho or brand to any journal or grimoire for $10. You can view our available conchos here. Contact us for pricing. Get ideas for designs here. Need to pay International shipping and don't want to wait for an invoice? You can do so using the donation button below. Click for shipping costs. 100 Sheets of 9" x 12" pre-hole punched refill paper. NOTE: We ship once a week, usually on Fridays. If you need your grimoire by a specific time just let us know and we will make sure to have it mailed in time. International shipping is NOT included in the price. If you are outside the United States, please view shipping costs here. 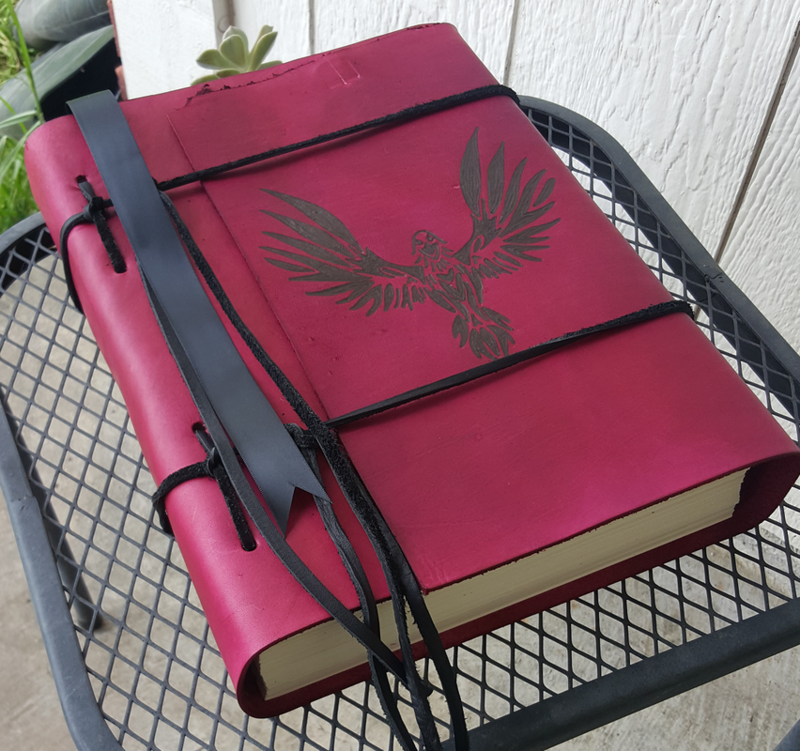 Check out our custom option to create the grimoire or journal you desire! Shipping outside the United States is not included in the price. International buyers must contact us for shipping costs before making a purchase. Thank you!